USD/CAD failed to breakout of 1.3444 resistance and pulled back to 1.3370. 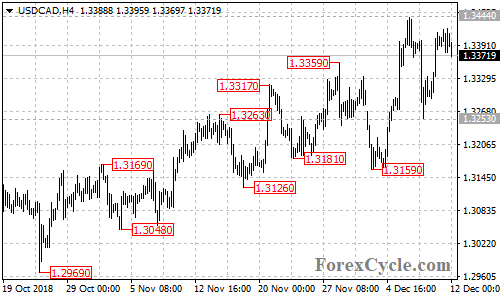 However, another rise to test 1.3444 resistance is still possible and a breakout of this level could trigger further upside movement towards 1.3500. Support is at 1.3300, a breakdown below this level could bring the price back towards 1.3200.